This is my version of Detox Green Soup! 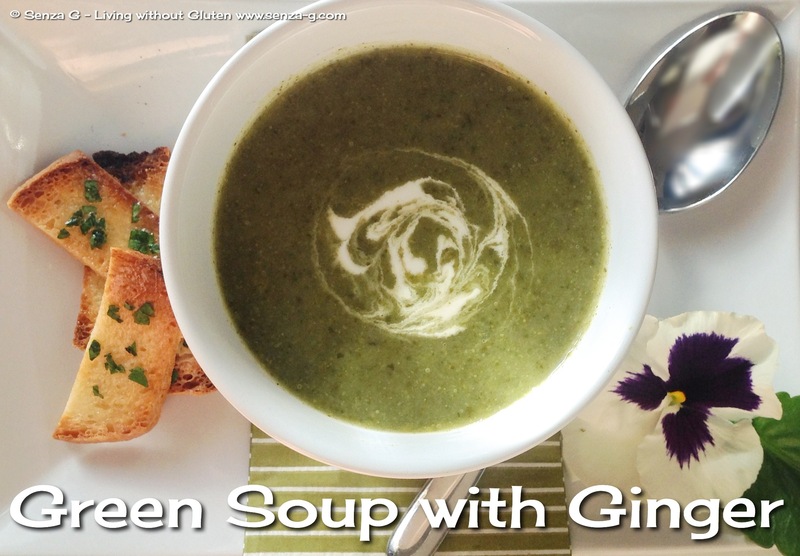 Whichever vegetable was green in the house, I threw in my soup … added a touch of ginger and then whizzed everything up! If you have access to fresh spinach and fresh peas, use them, of course – but the frozen ones will work too, apart from being handy. Heat some olive oil in a pot over medium-low heat and sauté the onion, celery, ginger and garlic until the onion is soft and translucent. Add the coriander, potato, stock and seasonings and bring to a boil over high heat, then reduce the heat and simmer, uncovered, until the potato is tender, around 20 minutes. Add the spinach, lettuce and peas and cook for another 6 or 7 minutes. Add some chopped fresh parsley. Season with salt, pepper and chili if using. Puree the soup with a stick blender or food processor in batches. Then pass it through a food mill for a finer texture. If too thick, add a little stock. Check for seasonings and serve with a swirl of cream.